Senior Director, Norman Geddes has been in practice since 1976 and took over Frazer Coogans in 1995. 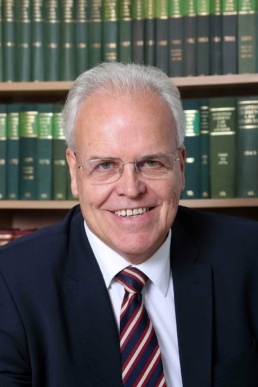 He has a wealth of experience and interest property matters with a particular interest in commercial property, country and agricultural property. He has advised and resolved many disputes in partnership matters; particularly in the farming world. His very practical and can-do approach has cemented many long term connections with clients. He advises widely on succession issues, on farming, land ownership and all aspects of Wills, Powers of Attorney etc. Having previously been a lecturer in Law at the University of Strathclyde and co- author of “Hospitality and Tourism Law”. Norman has a keen interest and passion for business in Ayrshire and is the Executive Chairman of the Elite Ayrshire Business Circle. He is also a Director of several charitable and social enterprise companies. Norman is married with a grown up family and lives in the countryside south of Ayr. He enjoys Golf, Curling and Country Sports. Peter joined the firm in 2005. He is a Director of the company and heads the Commercial and Agricultural Department. He has been involved in many major deals throughout Scotland and has a wealth of experience in acquisition and sale of development land, investment and portfolio property, farms and leisure parks. 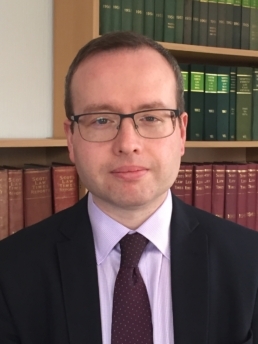 Peter is also a Chartered Tax Adviser, an Associate of the Association of Taxation Technicians, a member of the Society of Trust and Estate Practitioners and a member of the Agricultural Law Association. Carly Brodie started her career with Frazer Coogans in 2004 as a Trainee Solicitor. 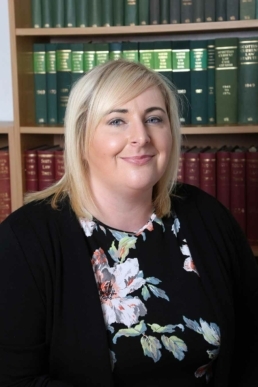 After qualifying as a Solicitor in 2006 Carly moved into the Frazer Coogans Commercial Team, specialising in commercial leasing and development property. Over the years Carly has gained a wealth of experience in both residential and commercial property. Now a Director of the company, Carly heads the very busy Frazer Coogans Residential Conveyancing Team. Carly is married and lives in Ayr and enjoys live music. After many years experience in the legal profession, Jacqueline joined Frazer Coogans in July 2014. She has extensive knowledge in aspects of residential conveyancing. Jacqueline was recently promoted to head the Private Client Department and is well versed in Executries, Powers of Attorney, Wills, Guardianships and Inheritance Tax Planning. Jacqueline lives in Ayr and is a member of Castlehill Parish Church and is heavily involved in charity work with the church. 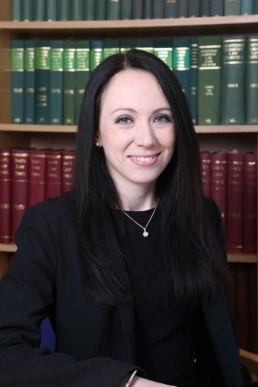 Lauren Fowler joined the firm in 1998 and is a highly respected family solicitor and Court practitioner in Ayrshire. She holds an Accreditation from the Law Society of Scotland as an Accredited Specialist in Child Law and is a Family Law Specialist. 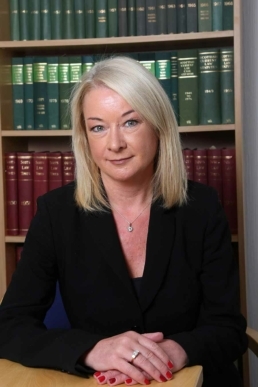 Having been in practice since 1988 she deals with all aspects of Court work including family law, civil and criminal court. Her particular expertise is in Family and Child law dealing with Divorce, Separation and the resolution of family issues. She has been appointed a Safeguarder by the Local Authority in relation to Child Law Matters. Victoria joined Frazer Coogans in 2015 as a Trainee Solicitor where she gained valuable experience in residential conveyancing, private client and commercial work during her traineeship. After her traineeship, Victoria was delighted to accept a position as a solicitor within our Private Client department. Victoria has a passion for assisting clients with their succession planning and helping them prepare for the future. She specialises in Wills, Powers of Attorney, Executries, Guardianships and Care Costs. Victoria is a keen dancer and sits on the committee for Hamilton Information Project for Youth Charity. Anoop joined Frazer Coogans as Legal Assistant in 2013. During his time at Frazer Coogans Anoop completed a Bachelor in Law from the University of Strathclyde in 2017. Anoop is currently doing his Post Graduate Diploma in Professional Legal Practice from the University of Strathclyde looking to graduate in July and start his traineeship in 2018. Anoop spends his time at the gym, running 5k & 10k and enjoys countryside walks.